SOUTHERN APPROACH: From Interstate 10, take HWY 62 north to Yucca Valley. 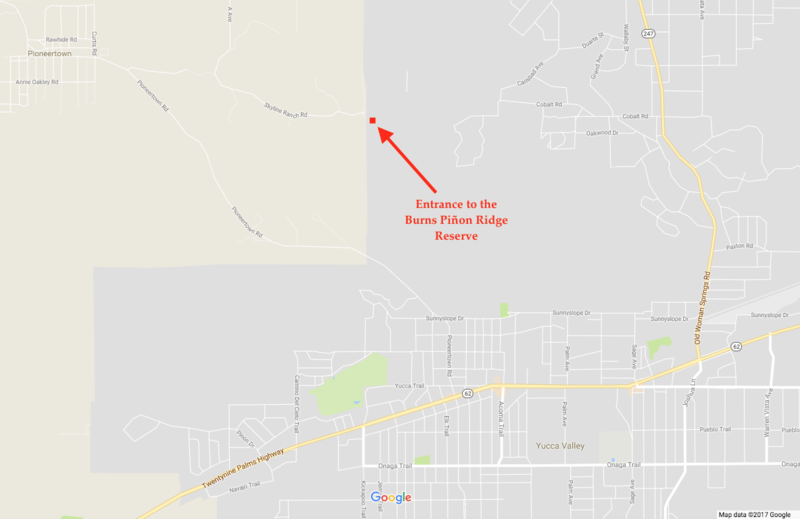 NORTHERN APPROACH: From southbound HWY 267, take HWY 62 west into Yucca Valley. Turn north onto Pioneertown Road, and continue for about 4 miles. Continue slightly over 2 miles to 55551 Skyline, where the Reserve gate is located. The combination to the gate lock, as well as detailed driving directions, may be obtained by contacting Reserve personnel at UCI prior to your visit.